AMG MERCEDES - At speed offshore testing, this Mercedes deep V powerboat (cigarette) is undeniably fast. 86 knots on batteries and electric motors. Not that fast in reality compared to other powerboats, but then this is offshore racing where the hulls get a severe pounding. The main consideration here is that fossil fuels are not used, provided that the batteries are charged from renewable electricity supplies. On this page we give you a few examples of some extraordinary human beings who have changed the world, by doing or making something that inspires others to think differently about what is possible, in this case raising the speed at which humans have been able to travel across water in boats, ships being far too slow, but qualifying for the Blue Ribband as applies to passenger vessels on scheduled voyages. These records involve burning fossil fuels like diesel oil and aviation kerosene blend or even petroleum, all of which add to global warming. The new breed of record breakers are climate friendly. They come from all sectors and walks of life, from private citizens to university students. 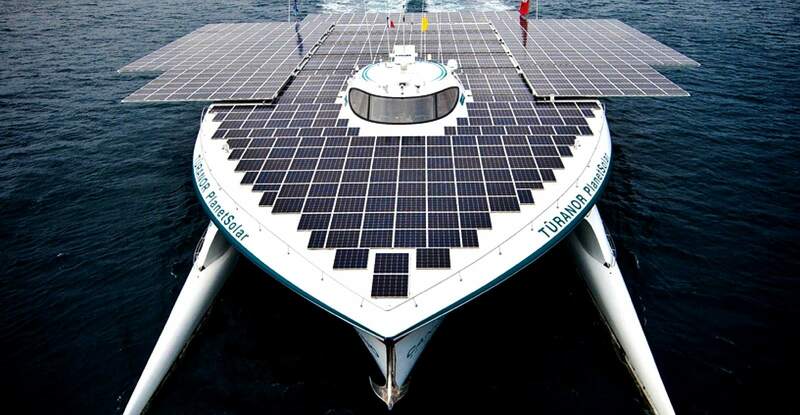 Click HERE to see the growing list of electric and solar powered boat records.